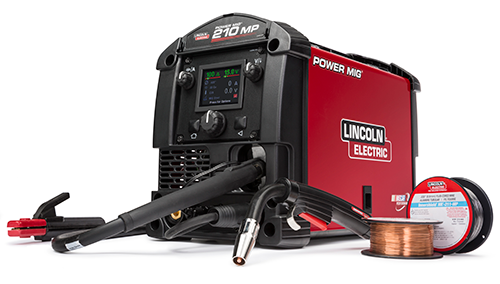 Total Welding Supply carries MIG welders from top brands including Lincoln Electric, Miller, ESAB, and Thermal Arc. MIG welding is ideal for metal fabrication within the automotive, construction, and manufacturing industries. Call to speak with one of our specialists 800-886-9321. An inert gas is used to shield a molten puddle made from a MIG. A MIG welding gun produces high heat that melts the consumable wire. The wire is continuously fed from a spool and applied to the weld joint. Call today to speak with a Total Welding specialist. We can help you select the MIG welder that meets your needs.